What started in England in the late 1800s as a concept to describe Sunday meals for Saturday-night carousers has today become a fashionable way of communication. 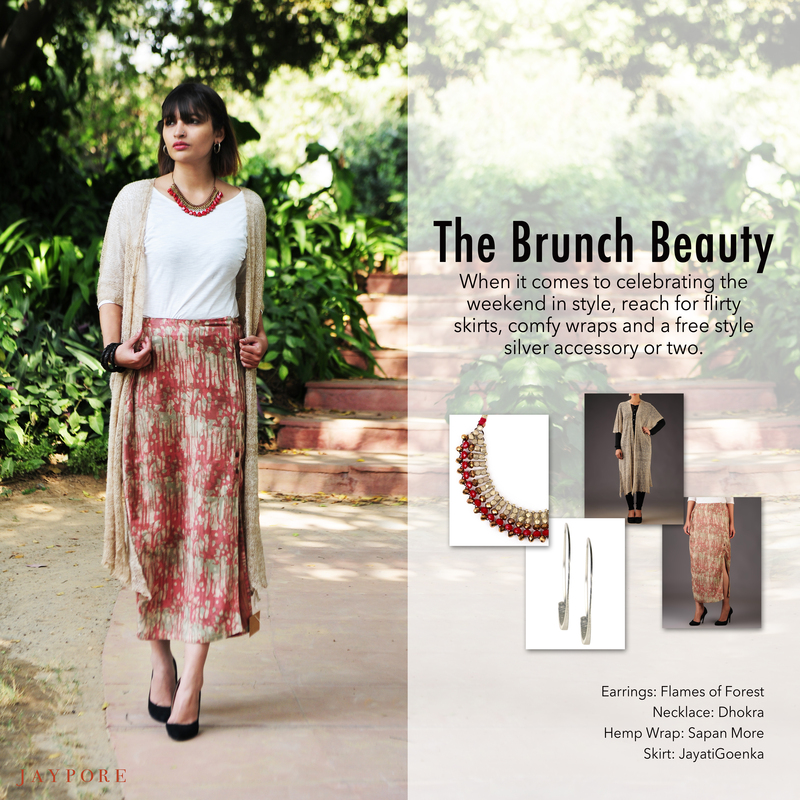 Cheerful, sociable and inciting, these days Sunday brunches are much more than delicious food and dressed up tables. From chit-chat with old friends to first time meetings, brunch has served as a quick and happy solution to busy lives and hectic schedules. With so much significance attached to it, the problem, though, arises in knowing what to wear for such an outing. See our pick below. Posted in Sartorially Set and tagged brunch look, fall fashion, fashion, Jewelry, silver jewelry, skirt, stone necklace, winter, wraps. Bookmark the permalink.